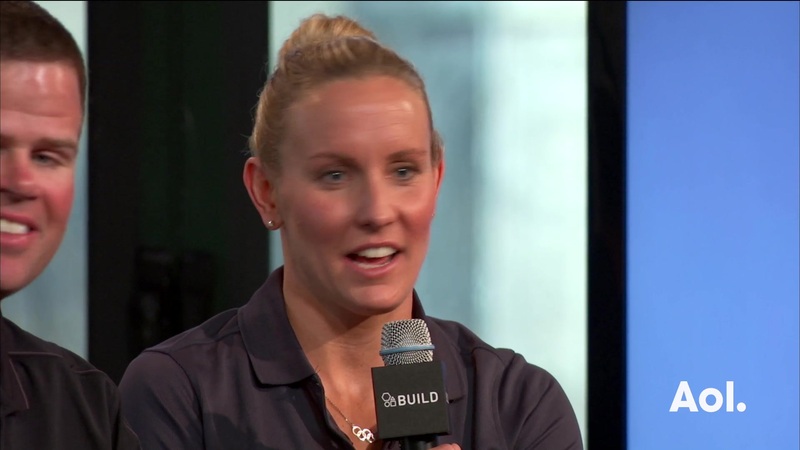 Gold medalist swimmer Jessica Hardy and coach Keenan Robinson visited AOL BUILD to talk about the upcoming Rio Olympics and the nutrition value of chocolate milk last week. That's right. Go ahead and drink as much as you can (well, after you hit the gym). Robinson explained why Vitamin D is an important source for athletes especially swimmers by saying, "It's the perfect carb to protein ratio. It's the perfect recovery source." Meanwhile, Hardy, who is preparing for the summer Olympics in Rio de Janeiro, told AOL BUILD, "we are the in the heavy bulk of our aerobic training and a lot of us are beat up right now." Robinson also trained Michael Phelps, and elaborated on how chocolate milk can help you after you hit the weights. "You're helping rebuild the muscle." He also pointed out that swimmers that swim outside in the sun still lack vitamin D.
Hardy has been working hard and training for the August events, but is also getting ready to put an unfortunate past behind her, as she tested positive for clenbuterol before the Beijing Olympic despite being unaware of the substance. "It was heartbreaking to have to miss the Beijing olympics games. I've proved my innocence, have swam faster since then and I broke 9 world records since that has happened. "I'm definitely more appreciative of what Iv'e gotten to do; more grateful and motivated," Hardy offered as she talked about her experiences and what inspired her new book, "Swimming Toward The Gold Lining: How Jessica Hardy Turned Her Wounds Into Wisdom" available now on Barnes and Noble.